♥ The Pow! 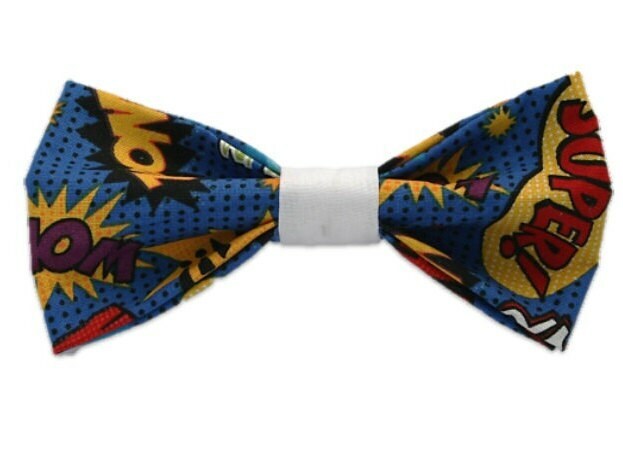 bow tie is made out of a soft cotton fabric that makes your bow feel like it has popped right off the pages of your favorite comic book! Including sayings such as POW, SUPER, WOW, etc. this bow is sure to please the comic book lover in your your life and make your pup look great in the process!